During this presentation Rica and Ruan will share real life case studies in three different industries, of where spiral dynamics were used to lead to sustainable and lasting organisational change. During this presentation 3 real case studies will be presented. The actual issue, the intervention and the outcomes will be shared in the form of storytelling. Real life ethnographical stories will be shared. A slide show with sound will be used. Three parts. 1) Presentation on Integral Music. Musical excerpts for each LEVEL of the spectrum of consciousness. QUADRANTS: how the LEVEL of consciousness of the composer (UL), conveyed thorough the music (UR), interacts with the consciousness of performers and audience (LL) and performance ‘container’ (LR). Music can induce peak STATE experiences. How experience of music is affected by strengths in different LINES. 2) Full Spectrum Mindfulness Meditation (as in KW’s book, ‘Integral Meditation’). Inspired by great music, dance (recommended, or sitting) each level of the Spectrum of Consciousness in turn, ‘Witnessing’ between. 3) Presentation on Steve’s Integral Oratorio, with excerpts. Probably the first piece of its kind in history, it is an Integral Communion: the audience participates actively to enter sacred Integral space. It is a work-in-progress, and Steve is looking for support (including financial) to help bring the piece to its first public performance. 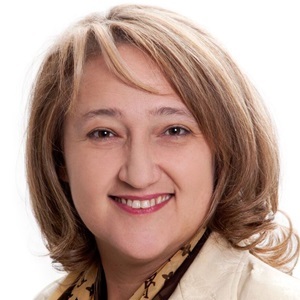 Dr Rica Vijoen is a master organisational development consultant, and expert facilitator. She is a storyteller, an author and a spiral dynamics expert. Her model on Inclusivity, in her doctorate thesis, was acknowledged as one of the 10 most promising contribution to the field of Management, Spirituality and Religion by the Academy of Management in 2008. Since then, this approach to hear the voices the whole social system, was applied in 42 different countries with over 100 000 participants. She has been awarded the Institute of People ManagementCEO award for her contribution to the field of study nationally and internationally.